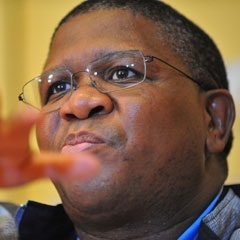 Cape Town - Sports minister Fikile Mbalula has lauded AB de Villiers and his Proteas side after they returned home from the Cricket World Cup in Australia and New Zealand. The South Africans bowed out at the semi-final stage, losing a tense match by four wickets to New Zealand in Auckland. Mbalula was speaking upon the team's arrived in Johannesburg on Friday morning. "I wouldn't have woken up to come here if I was going to welcome a bunch of losers or chokers. "I saw a determined team that wanted to do best for its country and I'm very proud of the boys. "We won't cry over spilled milk. We tried our best and we lost. Keep the fire burning. "AB, you led superbly as captain. You have made this nation proud."